BanyanGlobal is an advisory firm that specializes in helping families transition their assets from one generation to another. Our clients are owners of shared assets such as operating businesses, family offices, and family foundations. We partner with them to make difficult decisions that span their family, business, and ownership interests. Judy Lin Walsh is a Senior Advisor at BanyanGlobal, specializing in family strategic planning and wealth management. Over the course of her career, she has worked for clients in a range of industries including healthcare, finance, and consumer goods. 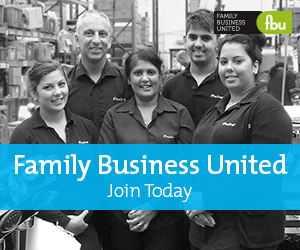 Judy has a special interest in working with family-owned businesses. Her first job was in a family business, where she worked closely with the owner and CEO. She learned firsthand the challenges and competing priorities of being an owner, business-manager, and family member. Her passion for international business grew during her years at MIT, when she worked at Bank of China. She was fascinated by the different cultural norms of doing business internationally. After MIT, she began her consulting career with Accenture, where she developed multi-million dollar strategies for her clients nationally and internationally. Judy holds an MBA from the Tuck School at Dartmouth College, where she was elected to the Student Board and was captain of the women’s hockey team. Her peers nominated her for the Julia Stell Award for outstanding leadership, which she received. During that time, she worked as an associate at Goldman Sachs, in their Private Wealth Management division. Judy loves to play tennis, ski, and entertain.